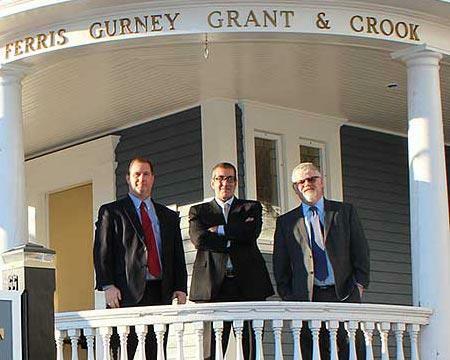 Attorneys in Waterville, ME - Ferris, Gurney, Grant & Crook, P.A. Ferris, Gurney, Grant & Crook, P.A. When choosing a legal team to assist you, your family, or friends with criminal law, you have a checklist. You need a team that is smart, dedicated, open, honest, straightforward, and will treat you how you deserve. Ferris, Gurney, Grant & Crook, P.A. is the law firm that checks all the boxes. We will meet with you and listen to the problem in full so that you get the best advice possible. We will then represent you in the best way possible. If you are in a situation where you need an experienced, caring legal professional, contact Ferris, Gurney, Grant & Crook, P.A. at (207) 877-7781. We know that people can find themselves in situations they never thought they would be in. Finding legal help for these situations is difficult. Here at Ferris, Gurney, Grant & Crook, P.A., we offer multiple legal services. Our four attorneys are ready to take your case, diagnose it, and move to represent you. Whether you are having a family dispute, have a personal injury, or are filing for bankruptcy, we take all cases seriously. Call to schedule an appointment with one of our legal professionals at Ferris, Gurney, Grant & Crook, P.A., in Waterville, Maine, today! ©2018 Ferris, Gurney, Grant & Crook, P.A.